Once you purchase an Authorize.net account, activation is a simple process. 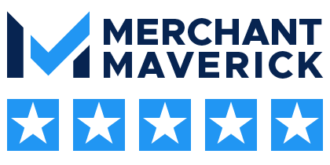 Most merchants can get their account up and running in about 30 minutes. See below for an overview of the process. Open the Activation Email: When Dharma sets up your Authorize.net account, the welcome email will have arrived just a few minutes before your “Congratulations” email from Dharma. The activation email you’re looking for will come directly from Authorize.net. Inside this email will be a link for you to follow, allowing you to complete the next step. You can read more about the activation process in Authorize.net’s official Account Activation Guide. Enter Security Information: Authorize.net will require you to answer a few security questions in order to verify your identity. These questions are designed to protect you against potential fraud. Be sure to follow the instructions in the “Congratulations” email you received from Dharma. In certain instances, we may instruct you to enter information in a specific manner. Once you complete this step, you will have successfully activated your account. Remove your Account from Test Mode: Test mode has a great purpose for web developers – but if you’re a small merchant or non-profit, you won’t need to use Test Mode, as it can make things more confusing! Click the large red bar labeled TEST MODE and follow the prompts to disable test mode. Watch a video about test mode here. Read the Getting Started Guide: Authorize.net has put together a great resource for their merchants, and you can read about all of the new features of your account, in their Getting Started Guide.